Should you buy the EVGA RTX 2070 XC? That shouldn’t be a big deal. Nvidia’s Founders Edition cards were designed to be premium priced halo(ish) models, right? 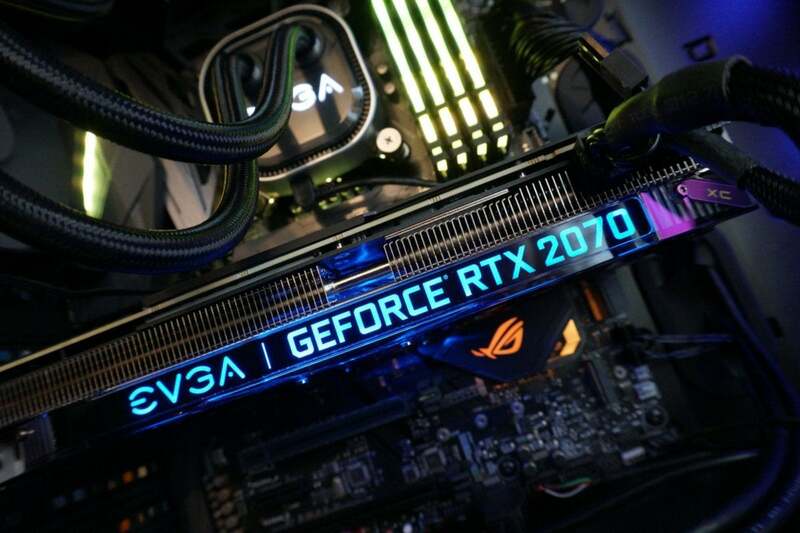 But when the GeForce RTX 2080 and 2080 Ti released last month, third-party board makers like EVGA, Asus, and MSI treated the premium pricing of the Founders Edition models as the cost floor rather than a cost ceiling. As such, all those high-end graphics cards are selling for significantly more than Nvidia’s stated starting prices. It’s a major bummer. Fortunately, that’s not the case with the GeForce RTX 2070 launch. You’ll find cheaper options available from third-party manufacturers on day one, such as the $550 EVGA RTX 2070 XC. 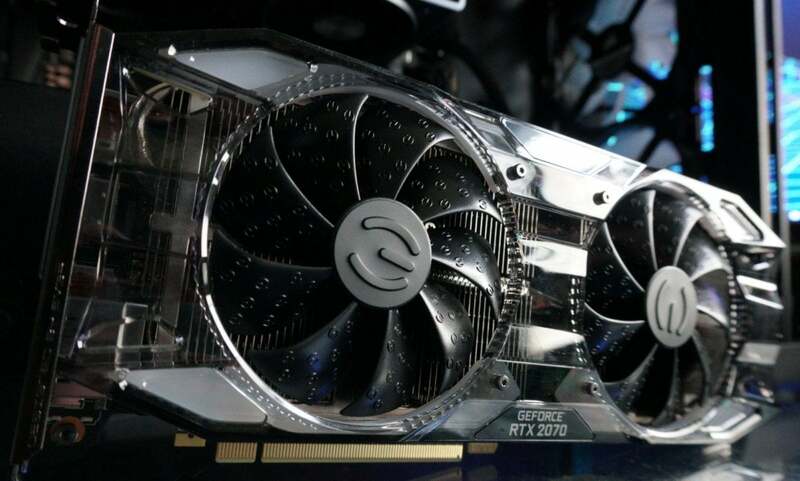 And while the $700 RTX 2080 trades blows with the older $700 GTX 1080 Ti, the EVGA RTX 2070 XC offers a performance bump over the GTX 1080 in traditional games to go with all its futuristic ray tracing promises. 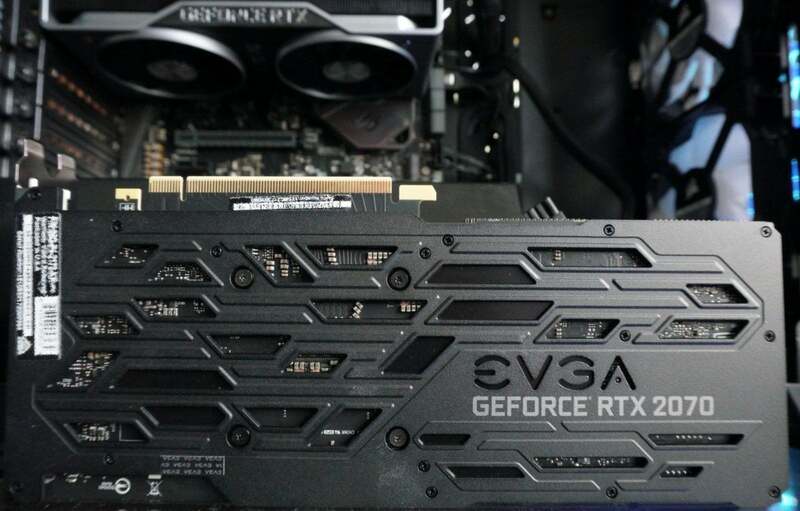 The EVGA GeForce RTX 2070 XC’s underlying specs hew closely to those of the Founders Edition, delivering a small clock speed bump compared to the GPU’s reference specs. On top of the out-of-the-box speed boost, EVGA also lets you increase the RTX 2070 XC’s power limit by a lofty 30 percent, giving manual overclockers more headroom than other RTX 20-series graphics cards we’ve seen. The Nvidia Founders Edition only lets you bump the power by 16 percent. We’ll cover overclocked performance in a separate section later. The RTX 2070 packs the same 8GB of VRAM as its predecessor, but the move from GDDR5X to GDDR6 delivered a massive upgrade to memory bandwidth. This GPU promises to unlock new features in the future, too, thanks to its dedicated RT cores for real-time ray tracing and dedicated tensor cores for bringing the power of machine learning to games, most noticeably in the form of Deep Level Super Sampling. DLSS is an antialiasing method that delivers visual smoothness on a par with Temporal Anti-Aliasing (TAA) at a much lower performance cost, using the power of AI to render scenes more efficiently. The good news: Dozens of games have pledged ray tracing or DLSS support. The bad news: No games support either technology yet, so if you buy into an RTX graphics card, you’re gambling that game developers will embrace Nvidia’s features en masse, and that those features will prove as impressive as Nvidia’s marketing claims. We’ll see. In the meantime, you can learn more about ray tracing and DLSS in our deep-dive into the Nvidia Turing GPU as well as the future tech section of our RTX 2080 and 2080 Ti review, where we examined some canned demos provided by Nvidia. While the EVGA RTX 2070 XC mirrors Nvidia’s Founders Edition under the hood, it’s the custom-designed cooler that sets it apart. A breakdown of EVGA’s cooler. 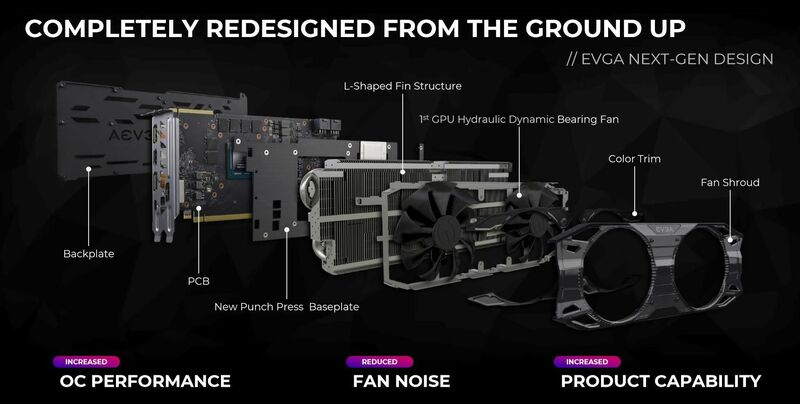 Digging deeper, EVGA’s L-shaped heat sink fins with holes punched through for improved airflow already impressed, but the company claims it’s managed to increase the heat sink’s total dissipation area by 58 percent with this new generation of graphics cards. The punch press backplate, meanwhile, supposedly increases thermal conductivity by 155 percent. That’s a lot of numbers to throw around, but one thing’s certain, as our testing will reveal later: The EVGA RTX 2070 XC runs ice-cold. Online reaction to EVGA’s redesigned shroud has been… mixed, to say the least. Some people love the transparent plastic shroud and the fans covered in tiny “E”s, and some people frankly hate it. 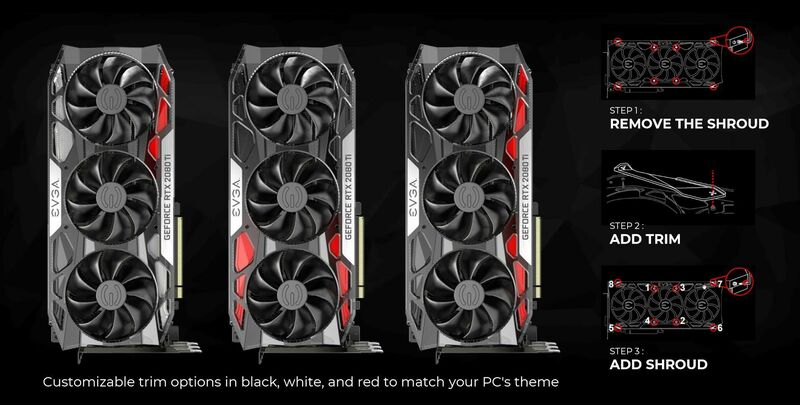 For people who love it, EVGA now lets you add a personal touch to your system by swapping out the trim around the fans with different color options, though those kits cost extra. The company’s superb Precision X1 software, which was rebuilt from the ground up this generation with great success, allows you to change the color of the RGB LEDs inside the logo on the edge of the card. And if you hate the new design? You can’t see the shroud and fans when the graphics card is installed in a traditional system, with the fans oriented downward. It just looks like any other recent EVGA graphics card, with an illuminated logo on the side and an intricate backplate up top. Enough about how the EVGA RTX 2070 XC looks. How does it handle? Let’s get to the benchmarks. EVGA's GeForce RTX 2070 XC is cooler, more feature-packed, and just as fast as the Nvidia Founders Edition, but costs $50 less. Between the promise of ray tracing and AI enhancements in the future and faster performance today, it's well worth your money.